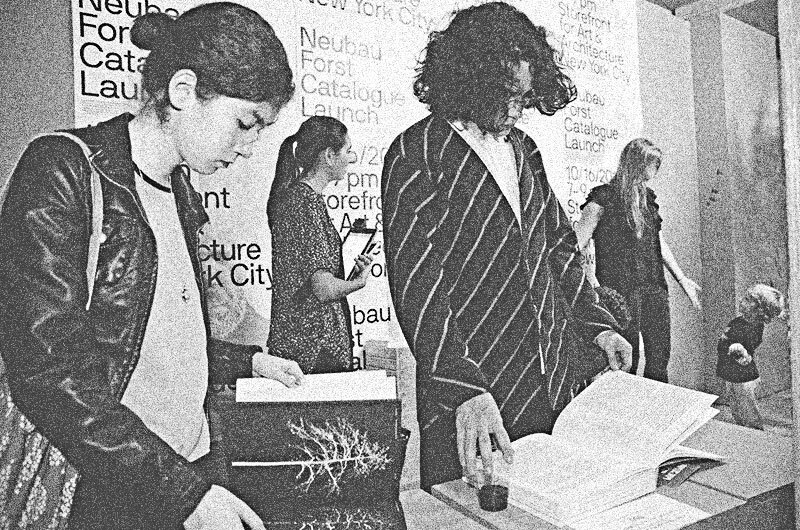 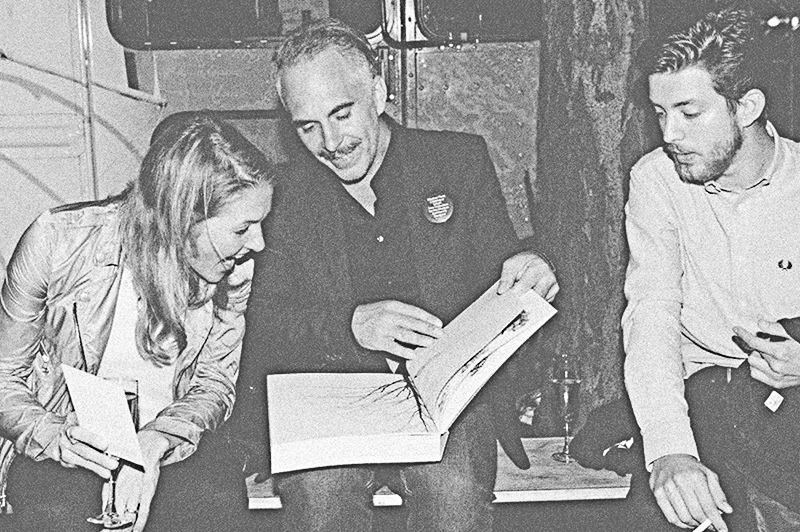 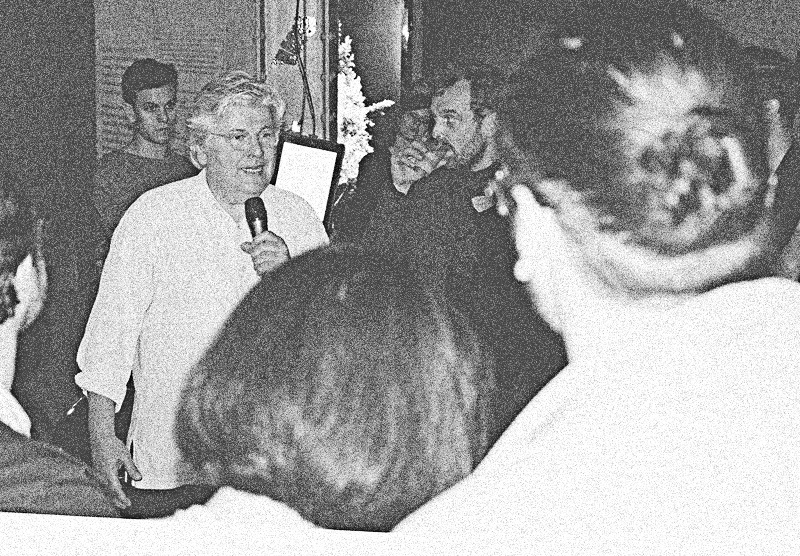 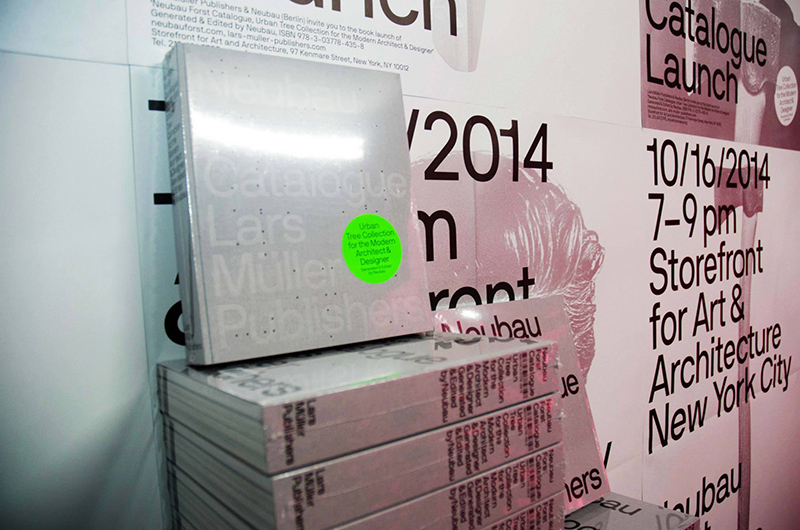 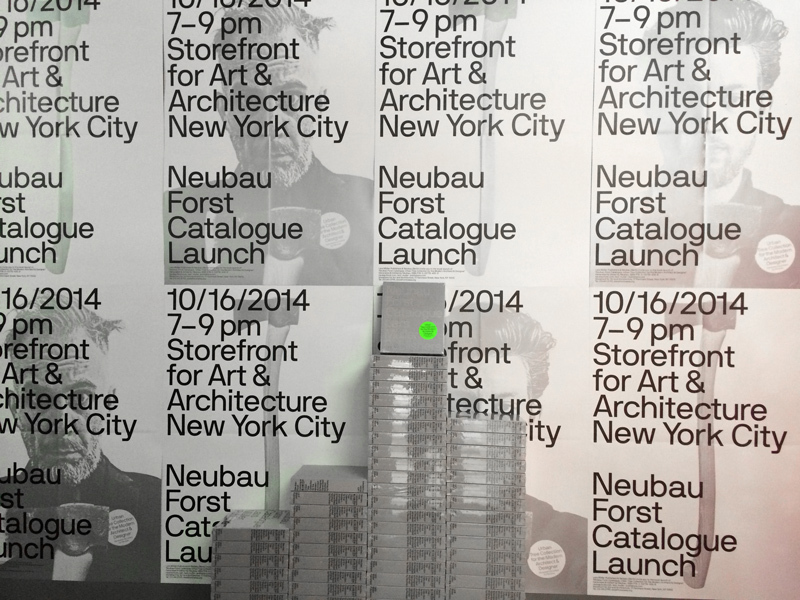 16 October 2014: Lars Müller opening the Neubau Forst Catalogue Exhibition at Storefront for Art & Architecture New York. 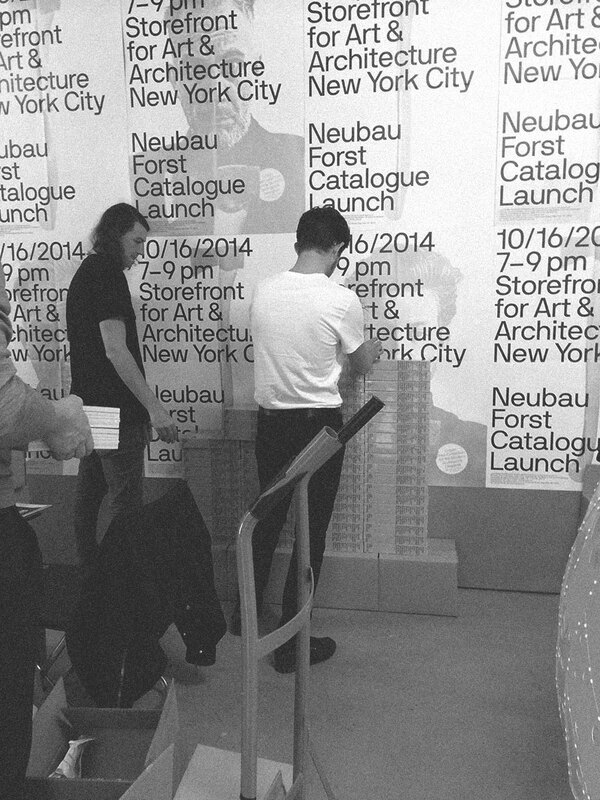 Storefront for Art and Architecture: Neubau Forst Catalogues arrived. 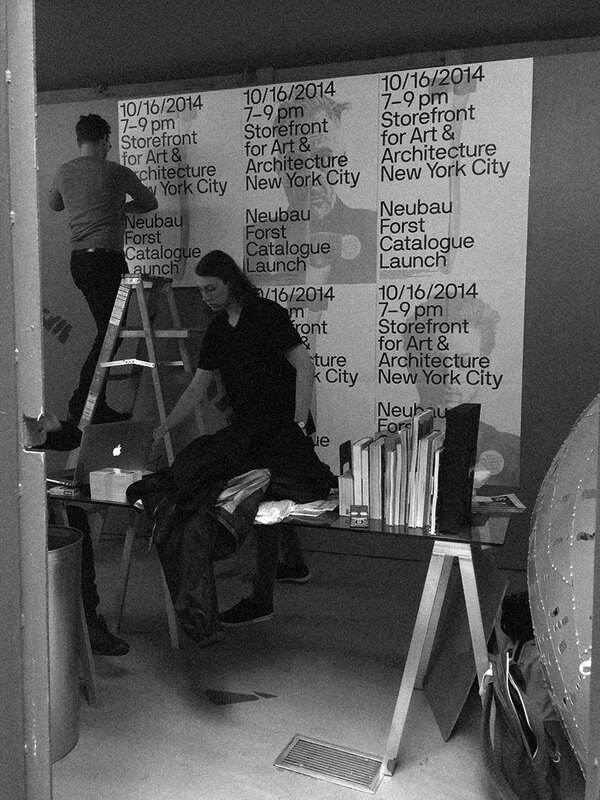 Getting started — Lukas Reinhard, Robert Loeber & Benjamin Ganz fixing walls and unpacking books for the opening.